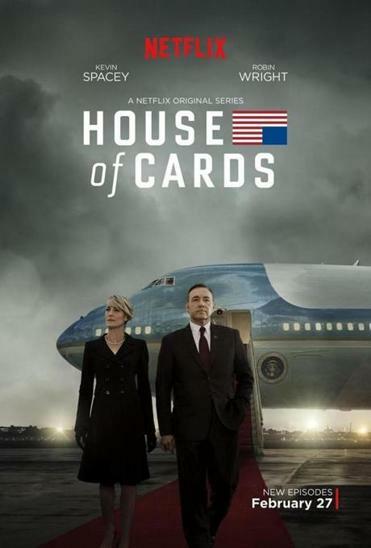 The poster for the third season of “House of Cards,” which was released Friday on Netflix. President Obama has been suffering multiple slings and arrows of Republican contempt lately. Conservative Mike Huckabee criticized him and Michelle for (gasp) allowing their daughters to listen to Beyonce, former Mayor of New York Rudy Giuliani claimed the president doesn’t love America or any of us, and, tomorrow, Israeli Prime Minister Benjamin Netanyahu will address Congress at the behest of Speaker John Boehner, who invited him without the president’s knowledge or approval. 10. Use an old-timey typewriter. Unlike Obama, Underwood doesn’t star in Buzzfeed videos or brandish a selfie stick. He writes correspondence on his typewriter (an Underwood, naturally). Take the letter he composes to the parents of a Navy SEAL who died. Sure, Underwood falsifies the circumstances of their son’s death, but, regardless, a personally typed note from the president conveys more gravitas than an e-mail signed “Barack” anytime. 9. Give foreign leaders better gifts. Remember when Obama visited Buckingham Palace and gave Queen Elizabeth an iPod? I’m sure he’d prefer we forgot. When Underwood learns that Russian President Victor Petrov likes to surf (and show off his bare chest, Putin-style), he gives him a surfboard etched with designs on one side and Beatles lyrics, including “Back in the USSR,” on the other. It doesn’t sway him in their negotiations, but it definitely wins Underwood some cool points. 8. Treat property and people the same: like trash. Obama seems like the sort of person who treats property with the same respect he shows people. That’s a mistake. Underwood understands that neither is deserving of his deference. When he visits his father’s gravesite, he urinates on it. When a bishop tells him that there are just two rules in life — love Jesus and love each other — he spits on a statue of Jesus. Maybe Obama should at least throw a blanket over a portrait of George W. Bush. Even if it never wins another award, the series already ranks among the most influential in TV history. 7. Appoint Michelle Obama to an ambassadorship. Michelle is already the unofficial ambassador of healthy eating and exercise, but that’s not a power position. Underwood gets his first lady the gig she desperately wants, ambassador to the UN, even after the Senate votes down her nomination. And then she plays beer pong with the Secretary of State, is kissed/insulted by Russian President Viktor Petrov, falls asleep in the Russian jail cell of an American activist and doesn’t wake up while he (apparently very quietly) commits suicide, attacks Russia’s antigay statutes, ruins the peace negotiations, and is ultimately forced to resign. Actually, maybe Michelle should stick with fighting childhood obesity, after all. 6. Rob Peter to pay Paul. In the State of the Union, Obama announced his plan to offer students two years of free tuition to community college. Where’s the funding going to come from? FEMA, of course. After all, Underwood justifies raiding the FEMA budget to pay for jobs creation by claiming joblessness is a “natural disaster.” Obama could apply the same logic to skyrocketing tuition costs. A true natural disaster could hit and there’d be no funding to help thousands of people, but maybe that’s a risk worth taking. 5. Meet with your enemies in a creepy stairwell. Obama thinks holding meetings in the Oval Office and flaunting his “leader of the free world” status impresses his opponents. Underwood knows that respect is earned not by status but by intimidation, and there’s no better place to intimidate your nemeses than a creepy stairwell. One time, he smokes Cuban cigars there with Petrov and says to the camera, “I’d push him down the stairs and light his broken body on fire just to watch it burn, if it wouldn’t start a world war.” Another time, he meets Heather Dunbar, his rival for the Democratic presidential nomination, there and towers over her, menacingly, from the top of the stairs. Note to Giuliani: If Obama ever invites you to the White House and says the two of you should take the stairs, insist on the elevator. 4. Become a chessmaster. Obama seems to operate under the illusion that people are human. 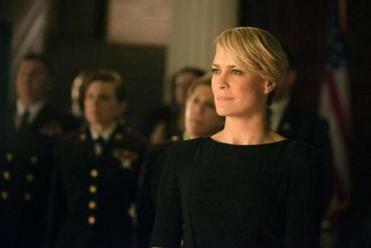 Underwood understands that people are chess pieces, meant to be maneuvered to serve his own purposes. He has the seating arrangements changed last minute at a state dinner to punish the minority leader. He convinces a Supreme Court justice with early Alzheimer’s to stay on and, then, when it’s convenient, tries to make him feel inadequate so he’ll leave. After instructing his supposed future running mate, Jackie Sharp, “You play pitbull while I play presidential” during the Democratic primary debates, he turns on her right before the Iowa caucuses. Checkmate! 2. Appoint a really scary chief of staff. When Obama named Rahm Emanuel his first chief of staff, Congress knew the president meant business. But the succeeding chiefs and even “Rahmbo” himself could never match Underwood’s chief-of-staff-in waiting, Doug Stamper, in ambition or devotion. Anyone who falls in the shower, breaks his arm, and duct tapes the misshapen appendage into place so as to not miss a meeting with the president is the kind of patriot Obama needs as his right-hand person. 1. Have an invisible audience that you can reveal your devilish thoughts to. When Obama addresses people on television, he sticks to a prepared speech and expresses his faith in humanity. Underwood may be on the ropes this season, but he’s got a secret weapon that will allow him to endure: he gets to say the most rotten, devious things with glee to a welcoming audience. Obama ought to give it a try. I bet it would shock and awe the opposition into a newfound respect. Follow Meta Wagner on Twitter @meta_wagner1.